The patient returns for follow up 10 days post implant repositioning (Fig.1). 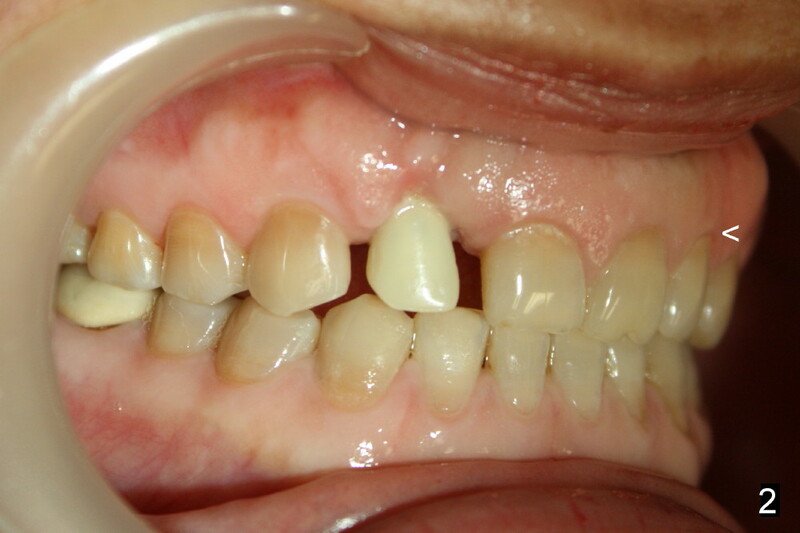 The gingival level of the immediate provisional is comparable to that of the contralasteral side (Fig.2 <). 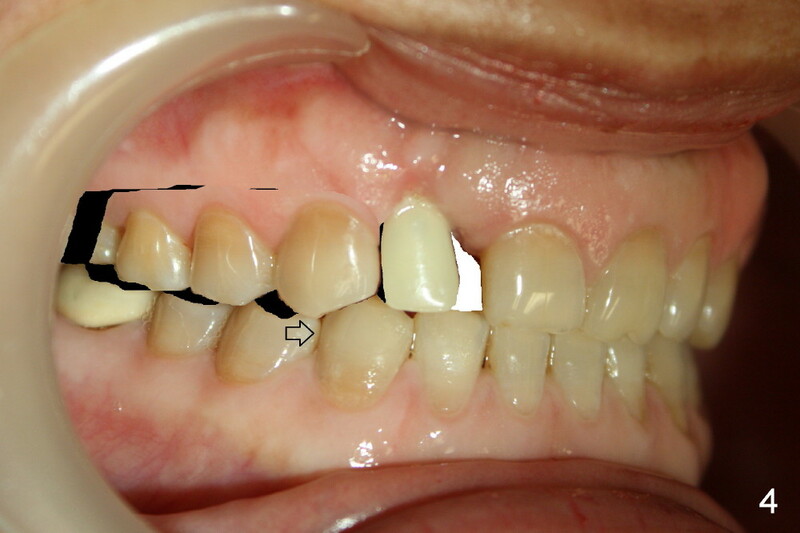 To fix the diastemata, the distal surface of the provisional will be first trimmed (Fig.3). The implant will be used as an anchorage to move the upper right teeth mesially to establish Class I occlusion (Fig.4 arrow). 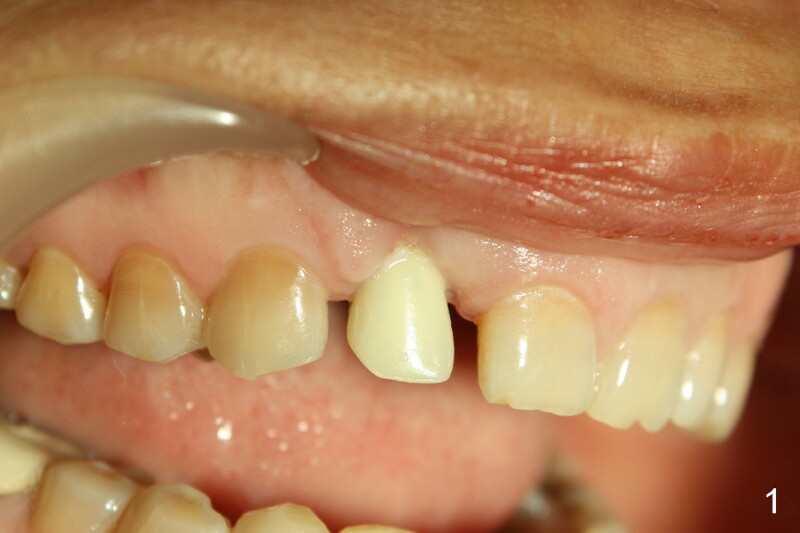 The implant crown will be mesially extended (white area). 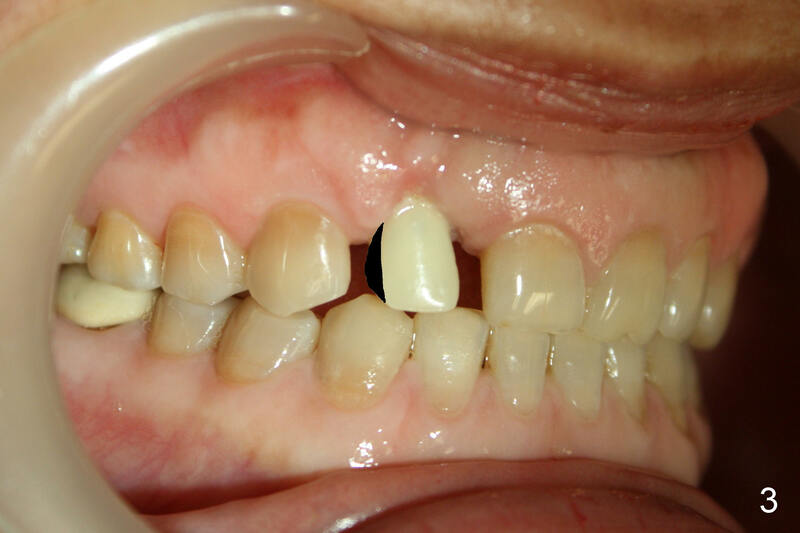 In fact, the patient does not pursue ortho treatment. Cosmetic dentistry is conducted.